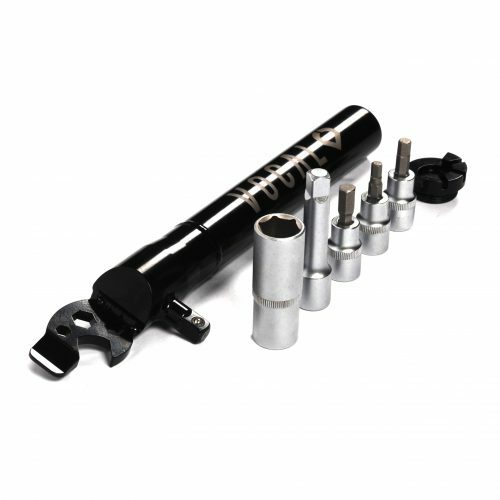 The extension includes a chain tool, tyre lever and 10mm spanner, all neatly contained inside the unit itself. 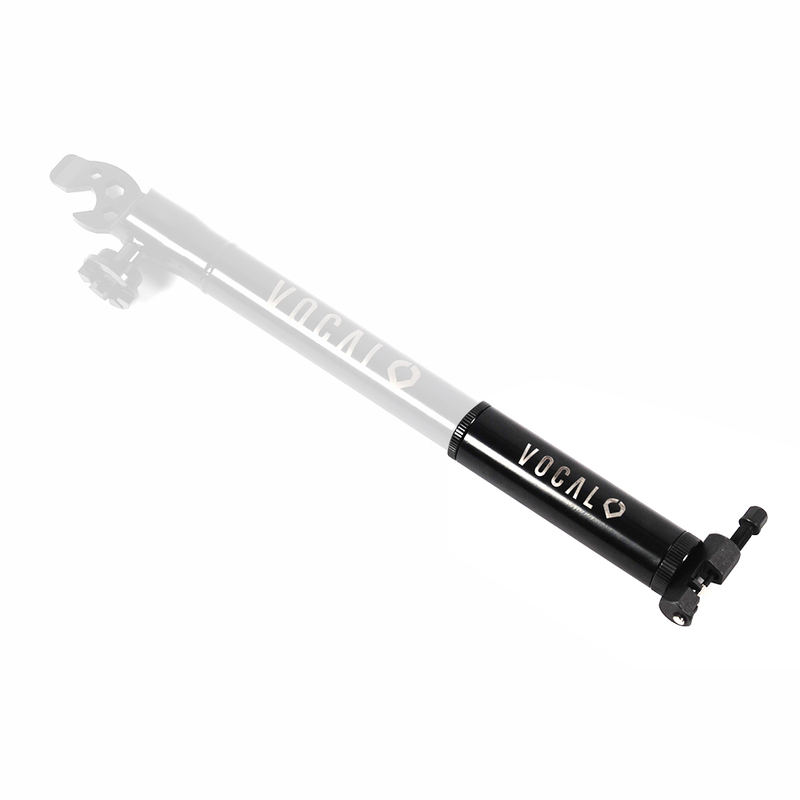 The V Tool extension fits right onto the bottom of your existing V-Tool, this not only means you can carry around every single tool you’ll ever need ( with the combination of the V Tool + Extension ) , it also adds extra leverage when undoing that stuck axle nut. 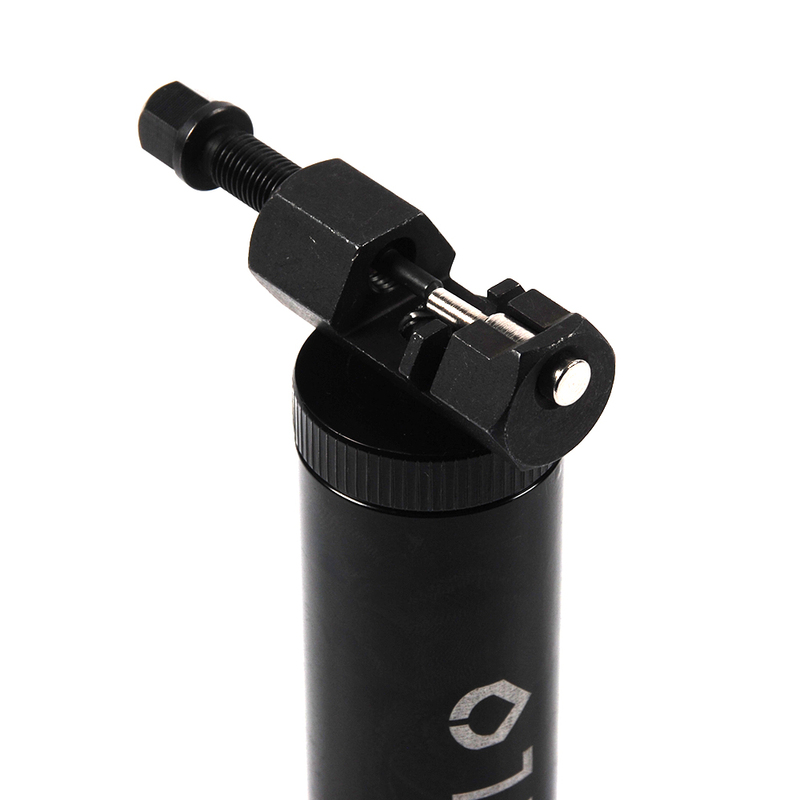 The V Tool extension connects to the main V Tool with a supplied durable, knurled ( for easy unscrewing ) cap. 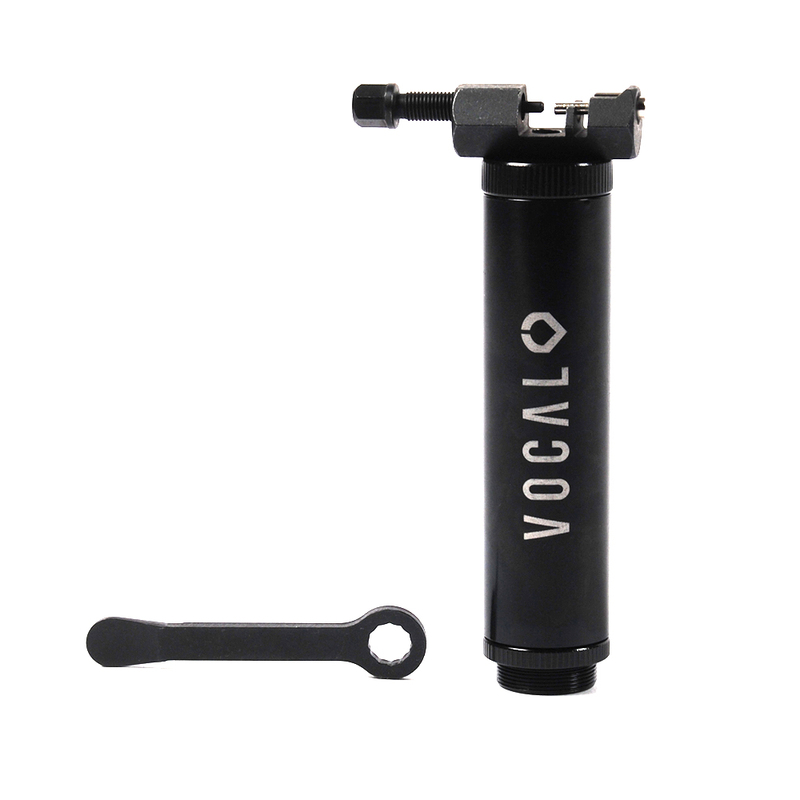 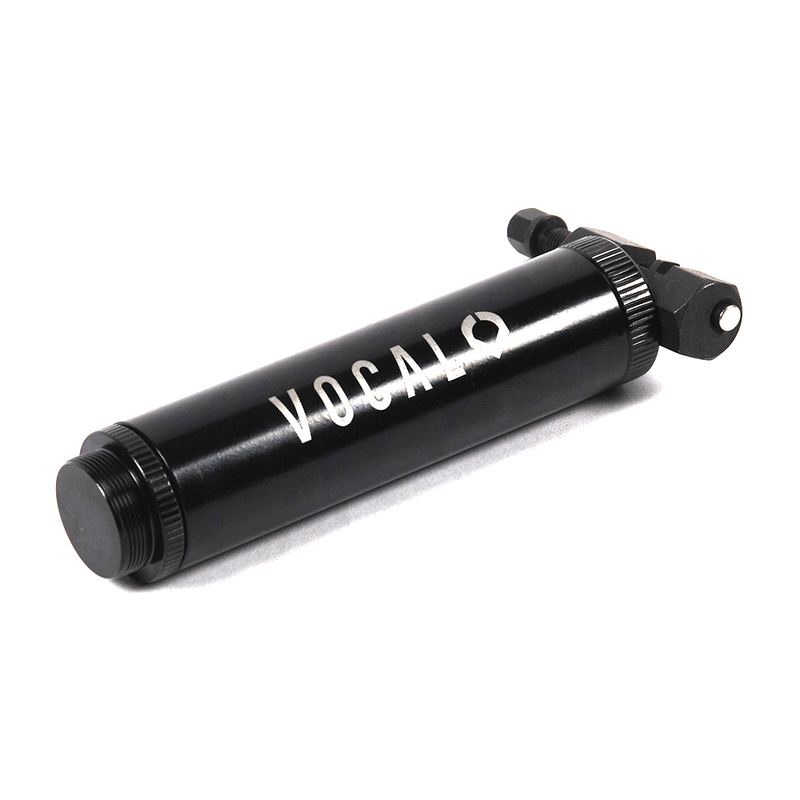 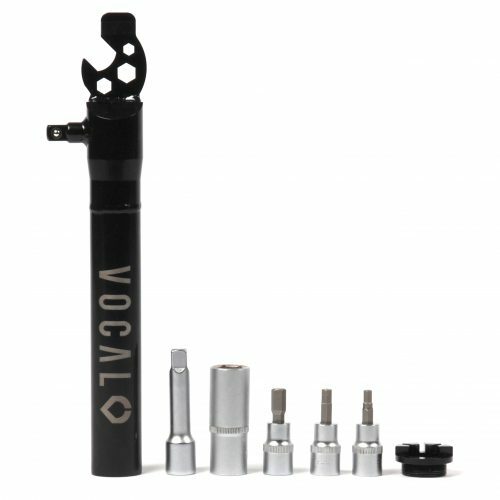 VOCAL V Tool Extension with chain tool.